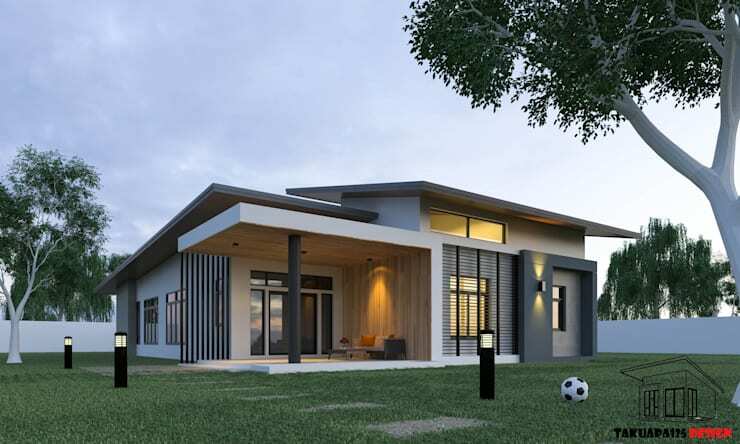 A beautiful modern home awaits you with the help of homify, and in this feature there are several stunning architectural ideas to ensure that your exterior is fun, functional and sophisticated. 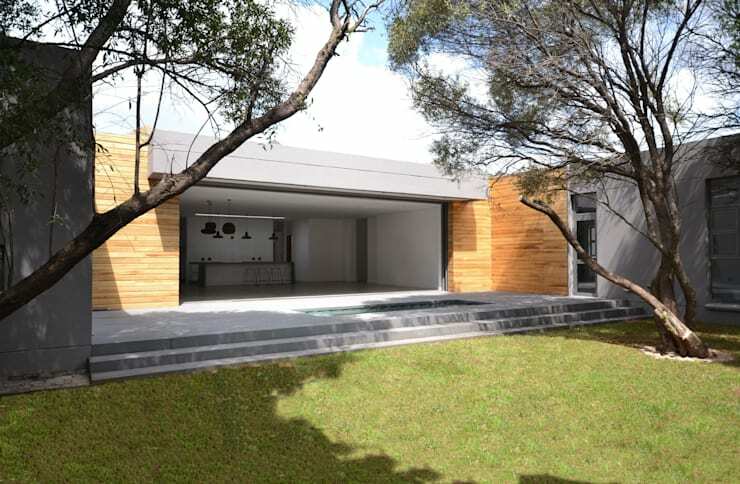 Whether you're deciding on designs for your double storey or modular home, our team of professionals have you covered. A comfortable, stylish and eye catching modern home is possible, so let's be inspired. A modern home decorated in neutral colours with an excellent design doesn't have to be large and over the top. This one includes a private patio to enjoy the sunshine and crisp fresh air. 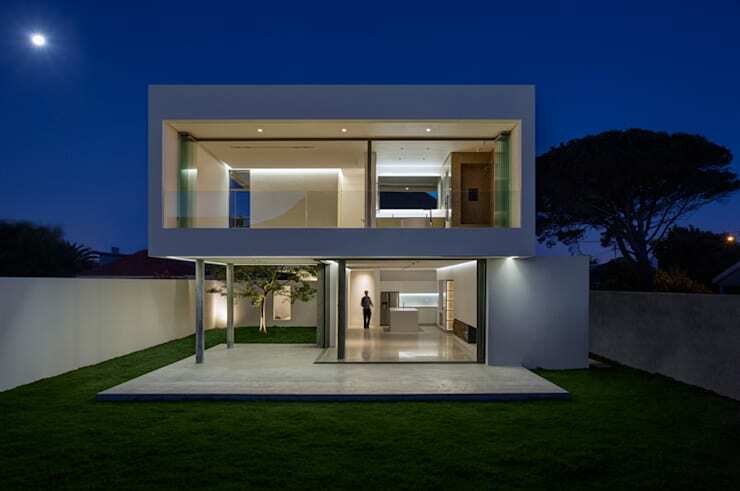 The pillars and lattices add some valued privacy, but doesn't this home look perfect at twilight too? The house pictured here is a spacious one-storey living space, with an elegant garden, stunning blue swimming pool and simple colour scheme enhancing the chilled environment. Spend the day just lounging on the lawn while you work on your tan. 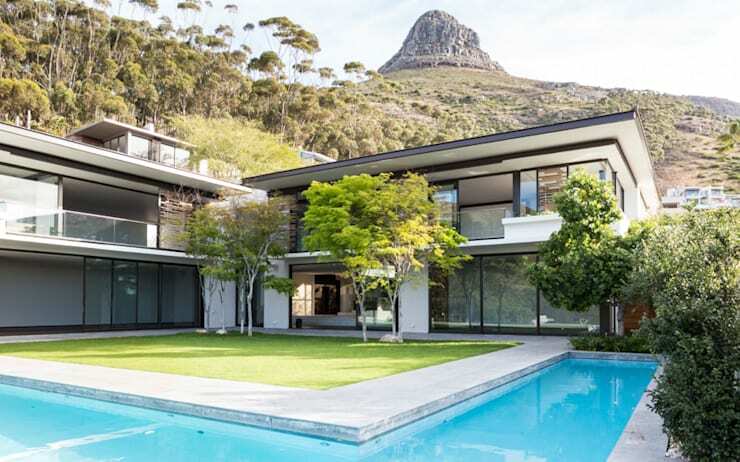 A proudly South African home with a sensational view and gorgeous landscape needs a layout that showcases the environment. The home has a breathtaking pool for those hot summer days and plenty of windows so there's always something to see. 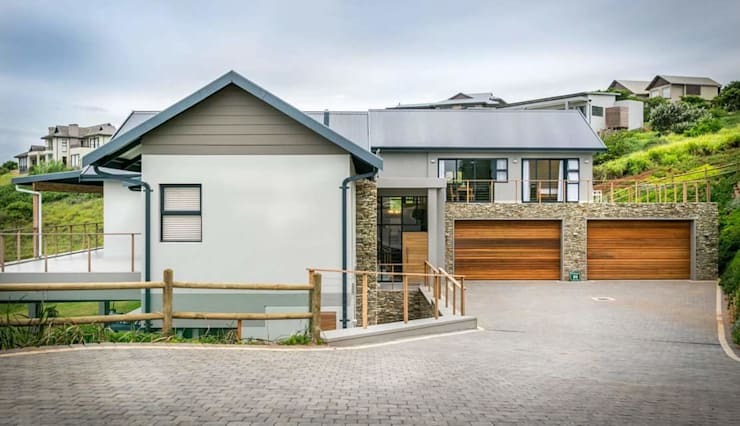 Although stone walls are usually for a rustic home, this one is undeniably modern in design. The glorious illumination and glazing make it a fantastic choice for a family home, with tradition and classic detail incorporated in the tasteful architecture. Wooden fixtures incorporates a welcoming charm of minimalism to a home, allowing visitors to feel attracted and at ease as they enter the sleek home that is shielded by the forest. 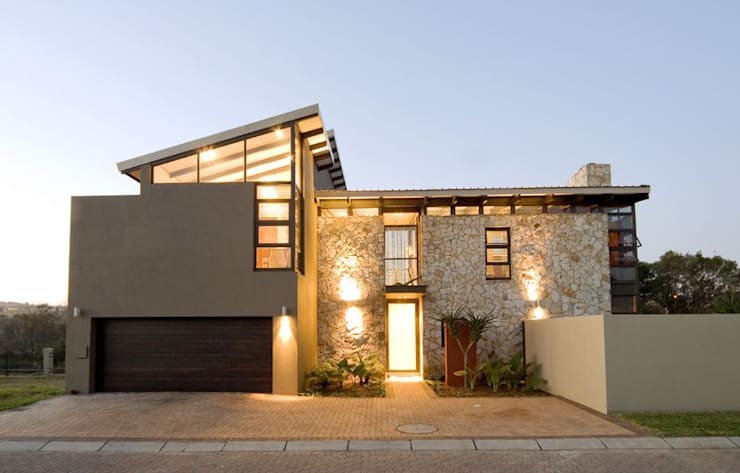 In order to create a more eye-catching modern home, it's important to consider how friendly it will be to passers-by, low walls, glazing and natural materials definitely makes the architecture seem less harsh and imposing. The final home we visit today has a cube shaped layout, with the sleeping quarters located upstairs and the living areas in the bottom section. The home is decorated in white for that brilliant yet simple design and with incredible lighting this home is nothing less than enchanting. Still in need of facade inspiration? These 11 pictures of homes with charming facades will get your creative juices flowing. What is a must-have feature for your home?